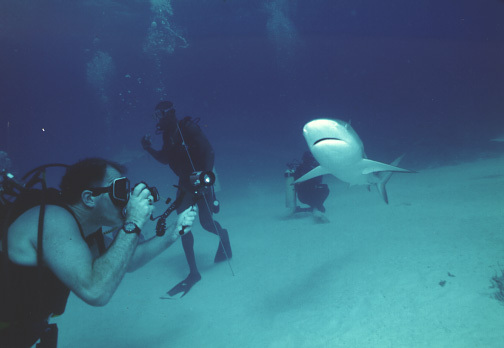 You can lead a director to the water, but you can’t make him dive! Virtually no diving in this TV movie about the Loch Ness Monster in Lake Superior!!! 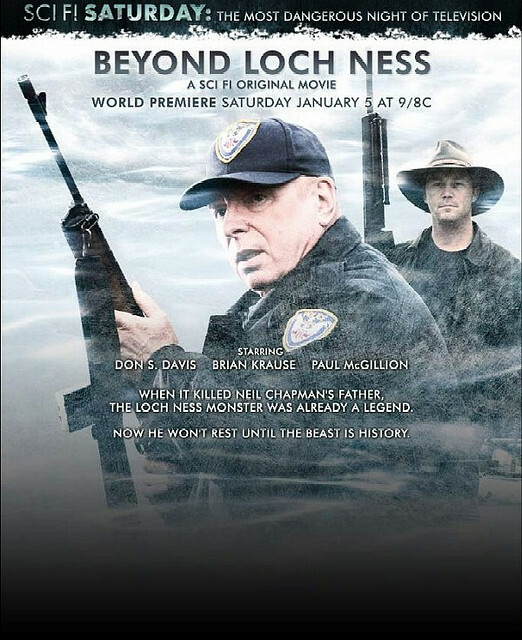 Filmed in 2008 (some reports have it being made in 2007), this made-for-TV Canadian movie tells the story of a crypto zoologist (the study of and search for legendary animals) hunting the monster who killed his family back in Scotland 30 years ago. He arrives at Lake Superior, just as the monster has laid her eggs and is in the process of eating up a lakeside town. Brian Krause, as the revenge driven scientist, does briefly get into the water in a full dry suit. 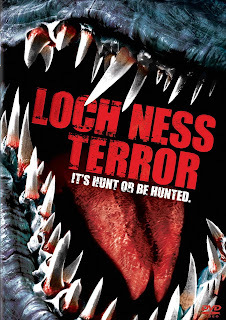 We see computer created scenes of Nessie coming in and out of underwater limestone caves. Nessie has been able to get to Lake Superior and onto Pike Island from the ocean through these passageways! Nessie and her babies can waddle on land; so, no one is truly safe in this horror thriller. The movie was shot in British Columbia and not surprising this Lake Superior is a rather small body of water surrounded by the Rockies. Superior does give up her dead – that includes crazy town folk, sexed up teenagers and Nessie and her brood. Many Canadian actors and actresses got to die horribly in this movie.